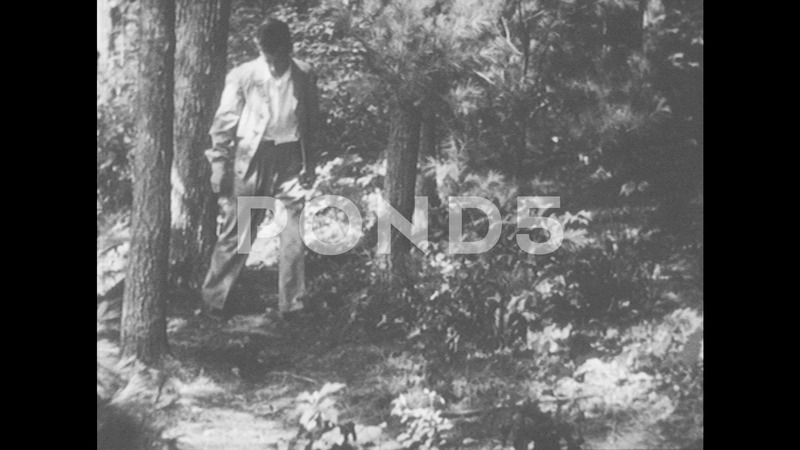 Description: 1950s: Man, Woman, Boy And Girl Are Walking Through Forest. Man Holds Stick And Points At Ground. Boy And Girl Look At Ground.